First Coke's Happiness Machine was just virtual and existed only within the creativity of the brand's television commercials. Then, it took on physical form as a vending machine that would dispense everything from a simple soda to a ten foot long sub sandwich. 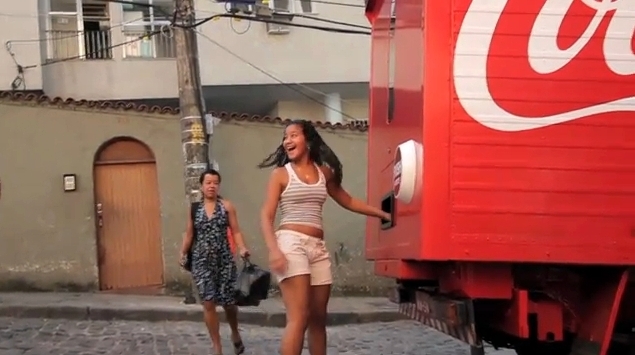 Now, the Coke Happiness Machine has become fully mobile in the form of a truck that dispenses everything from the ubiquitous Coke bottle to soccer balls to t-shirts all the way up to a full sized surf board to residents of Rio De Janeiro. We like the continued effort which comes courtesy of Definition6.